This was the 16th year that camp was held at the beautiful outdoor country setting at Ironwood Springs Christian Ranch near Stewartville, Minnesota. Campers and staff enjoying activities at preteen Camp Ironwood. This was one of the largest camps we’ve had as 176 of us (86 campers and mini-dorm campers, 35 teens and 55-plus adults) enjoyed four days of living, playing and working together “God’s way.” God blessed camp with His protection and beautiful weather. Our goal was to enrich the campers by giving them opportunities to build relationships with other children who share common beliefs and to deepen their relationship with God by getting to know more about their loving Father through daily Christian living and music classes. The theme of this year’s camp was “Our Awesome God and His Creation.” In Christian living we looked at the amazing universe and the creation. The theme was also emphasized throughout the activities and in their evening dorm time. The preteens enjoyed the new Jelly video (Days of Creation) and easily learned the creation song as well as “All Things Bright and Beautiful,” which they performed at the closing day program. Camp Ironwood is a family camp with many parents bringing their preteens and teens (as well as those under 5) and spending four days together in a loving and nurturing, family environment. 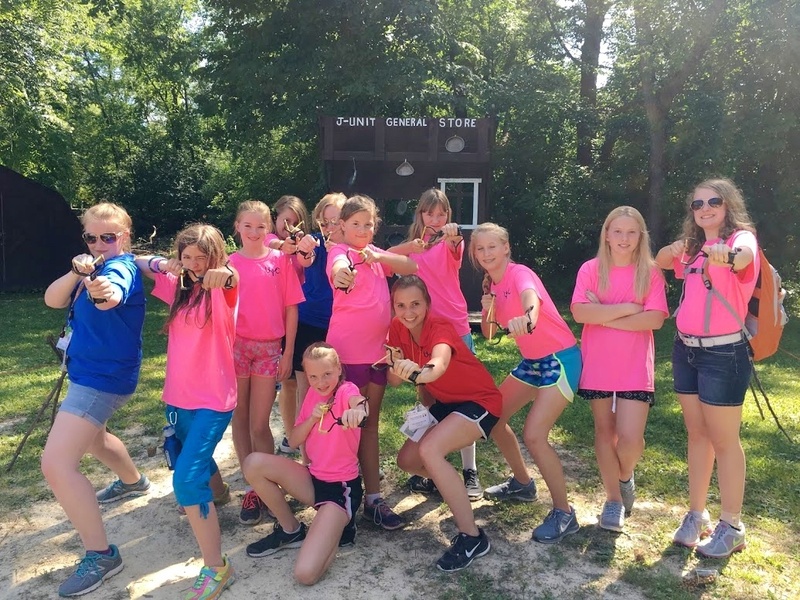 It was a fun-filled four days with a variety of activities including: horseback riding, swimming, zip lining, arts and crafts, field games, climbing wall, archery and BB gun shooting, creek walk, team challenge, campus improvement, slingshot, mini farm and tubing down a long slip-n-slide. Evening activities were: game night, a campfire sing-a-long, carnival, treasure hunt and novelty Olympics. Jonathan Magee created a short video capturing highlights of the camp and can be viewed at: https://youtu.be/kSTU0VzzYxQ . The friendships, camaraderie, nurturing, family environment and living, working and playing together according to God’s laws, is an experience that those who attended Camp Ironwood this summer will not soon forget. We praise God and thank Him for another successful year at Camp Ironwood! The dates for next year’s Preteen Camp Ironwood will be July 15-18, 2018. Dave Schreiber grew up in Albert Lea, Minnesota. From there he moved to Pasadena, CA and obtained a bachelor’s degree from Ambassador College where he received a major in Theology and a minor in Business Administration. He went on to acquire his accounting education at California State University at Los Angeles and worked in public accounting for 33 years. Dave and his wife Jolinda have two children, a son who is married and working in Cincinnati and a daughter who is also married with two children of her own.